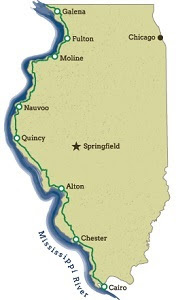 The Great River Road in Illinois National Scenic Byway runs along the banks and bluffs of the Mississippi River, through quaint river towns and urban cities as it hugs the western border of Illinois for 550 miles. Experience an Illinois winery, brewery, farm, u-pick, or local farm to table restaurant. Four Centuries of history and heritage and thousands of stories that recount America's evolution while experiencing breathtaking views, majestic landscapes and species that travel thousands of miles for a visit or to make themselves a home. Your Journey begins in Chicago, a world-class city. 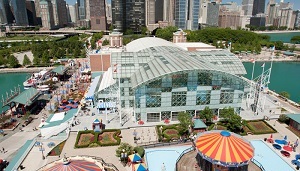 Experience the heart of the city from the Chicago River and visit the city’s 57-acre Museum Campus which includes the Field Museum, home to more than 20 million objects on culture, science and the environment, the Art Institute of Chicago, second largest art museum in America with over 300,000 works of art. Chicago’s Neighborhoods include Wrigleyville, home to Wrigley Field and the Chicago Cubs, Lincoln Park, a great destination for shopping and dining; and Bucktown Wicker Park’s cafes and boutiques. 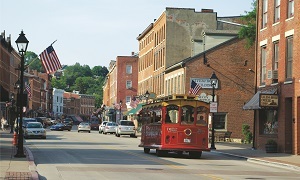 The Illinois’ Great River Road Itinerary starts in Galena. In the early 1800s, this bustling town grew quickly with the discovery of lead in the surrounding hills. Over 85 percent of the town is on the National Register of Historic Places. Walk in the footsteps of a president at the Ulysses S. Grant State Historic Site, once home to the 18th President of the United States. The historic DeSoto House Hotel is the hub of Galena’s Historic Main Street, home to over 100 local merchants. The rolling hills surrounding Galena are home to award-winning wineries including Galena Cellars Vineyard & Winery and Rocky Waters Vineyard and Winery, and local distillery Blaum Bros. Distilling Co. At Wooded Wonderland, view the native prairie of northwestern Illinois, pick organically grown blueberries and visit an authentic country store that offers locally produced goods. Handmade wooden furniture and other items are crafted from native timber by local artisans. Savana and the Mississippi Palisades State Park. The park is rich in Native American history with hiking trails of varying difficulty. This section of the Mississippi River has stately bluffs that can be easily accessed from park overlooks, providing spectacular panoramic views of the river and bluffs below. Fulton is Home to the De Immigrant Windmill, one of only 12 authentic Dutch Windmills in the U.S. 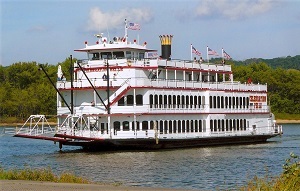 Follow the Mississippi River to Moline, one of the Quad Cities, and take a cruise on the Celebration Belle, an authentic paddlewheel boat. Nauvoo, a National Historic Landmark community, was one of the largest towns on the American frontier in the 1840s. Now consisting of over 30 restored historical sites, visit a wagon ride with stops at some of the restored shops, homes and public buildings. Or take stroll at your leisure and enjoy demonstrations by reenactors at many of the historic buildings including the blacksmith, bakery, post office and school. Enjoy a glass of Illinois wine after touring Baxter’s Vineyards and Winery, Illinois’ oldest winery. Established in 1857, this family owned winery is now in the hands of the fifth generation. 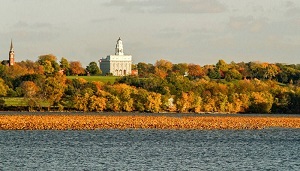 Quincy has over 3,600 buildings listed on the National Register of Historic Places, including the visitor center, Villa Kathrine, and the Quincy Museum, Newcomb-Stillwell Mansion. Grafton is situated at the northern end of the Meeting of the Great Rivers National Scenic Byway. 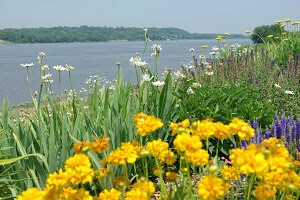 From here, the road winds between the Mississippi River and towering cliffs all the way to Alton. See pelicans, swans, geese, egrets, eagles and many other migrating birds at the Audubon Center at Riverlands. Experience the river from eight stories above during the Melvin Price Locks & Dam 26 tour. One of the largest locks and dam on the river, it is a central traffic point for barges. The Lewis & Clark Confluence Tower, a 180-foot tower with platforms at three heights, provides views of the rivers and land below. The nearby Lewis & Clark State Historic Site marks the point of departure for these two explorers who mapped the western U.S.
Cahokia Mounds State Historic Site and UNESCO World Heritage Site is just south of Alton. 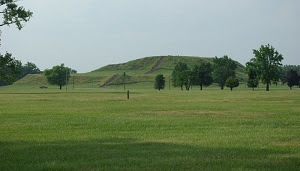 This was the location of the largest prehistoric settlement in North America from 700 to 1400 A.D. Monks Mound is the largest mound on-site and the largest Pre-Columbian earthwork in North America.